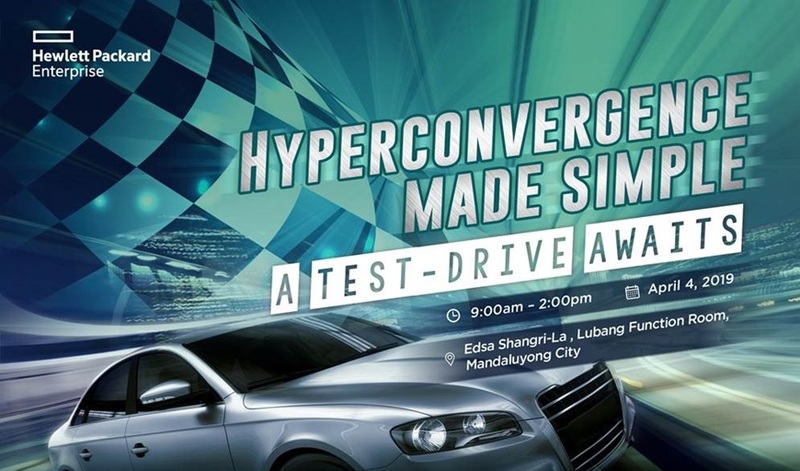 Hyperconverge Workshop: A Test-Drive Awaits! – CT Link Systems, Inc.
Join us for our upcoming event this coming April 4 at the EDSA Shangri-La Lubang Function Room to learn how you’re IT Infrastructure can become fast, efficient and simple by using HPE Simplivity! Test drive HPE Simplivity and experience for yourself what the platform has to offer for your organization. That’s not all, join our games such as a drive simulator and win yourself exclusive prizes! To find out how to register, please contact us at 893-9515! Nick is a senior pre-sales Solution Architect within the Hybrid IT (HIT) business unit of HPE. Nick came to HPE in May 2017 as part of the acquisition of SimpliVity, a market leader in Hyper Converged Infrastructure (HCI) solutions. Prior to SimpliVity, Nick spent 5 years inside VMWare working with some of the largest virtualization users in the South Pacific region. Now Nick is helping HPE customers across the region begin their journey towards a Software Defined Data Centre, his strong technical background and foundational knowledge of virtualization give him a unique insight around hybrid IT and our customers appreciate his ability to align technology to tangible business outcomes. In addition to his extensive technology industry background, Nick holds double degrees in Applied Science. ← Microsoft Office Suites: Office 365 or Office 2019?